Somewhere on my bucket list was a trip back to Wisconsin Dells (Wisconsin), a shameless tourist trap drawing thousands of visitors to a town normally (in winter) housing only 2800 souls). Water slides, roller coasters, various carnival-type attractions over literally square miles now. The original Dells tourist area was created for boat trips to see the limestone rock formations along the Wisconsin River. Then Tommy Bartlett created a big water ski show. An entrepreneur acquired an army surplus DUKW (an amphibious truck commonly called a “duck”) and opened a scenic duck ride to see the accumulating sights and the theme park followed. Summer of 1964, my family had moved to Georgia and I was more or less on my way down there by car from our previous home in Menomonie, Wisconsin. As I passed through the Dells area, I ran into a friend from Menomonie who was working as a waiter somewhere and he talked me into staying. I found a room to stay cheaply and looked for work. Everything I owned was packed into my MG Midget. First job was stuffing windshield wipers with Tommy Bartlett Waterski Show ads. 12 hours a day, seven days a week for 80 cents an hour. They supplied the old beat up junk car and I was expected to be in constant motion all day long. Every once in a while I noticed someone from the Bartlett show driving around checking on me. That lasted one day. 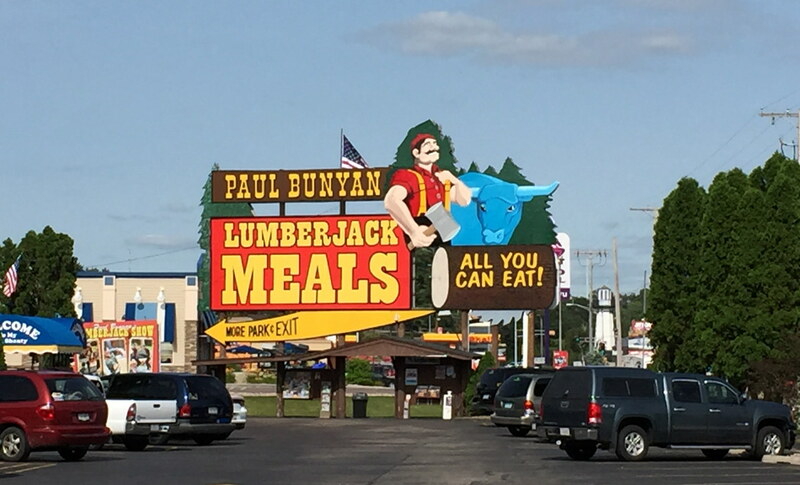 I then found a much better job at Paul Bunyan’s Logging Camp Restaurant as a table bus boy, clearing dinner tables. 90 cents an hour 14 hour days but one day off and all the food I could eat. This was a great deal. College kids from all over the State descended on The Dells to work the various attractions, all for thinly veiled child labor conditions, but in the immortal words of ZZ Top, “they gotta lot of nice girls there…..”, and they did. The social life was pretty much full time. No one slept much. I met and went out with a lot of girls, taking one to nearby Madison to see a Beach Boys live concert (their white pants, striped shirts era) with Brian Wilson singing and playing bass. The show opened by the Kingsmen (“Louie…Louie”). Took another one down to see the opening of the Beatles “A Hard Day’s Night” from which I emerged with a hearing deficit. Young girls screamed at the top of their lungs the entire show, could not hear one word of spoken dialog. Took another to the Museum of Science and Industry in Chicago to see the “Visible Woman” exhibit. A woman sliced vertically from tip of scalp to thigh and encased in glass both sides. All organs in position and visible. As far as I know it’s still there. It was a good time and I look back on it as a very good part of my young life at age 21, before the next shoe dropped and I found out about responsibility. Going back there has always been on my bucket list but it’s at least 700 miles from me and I never got around to it till now. 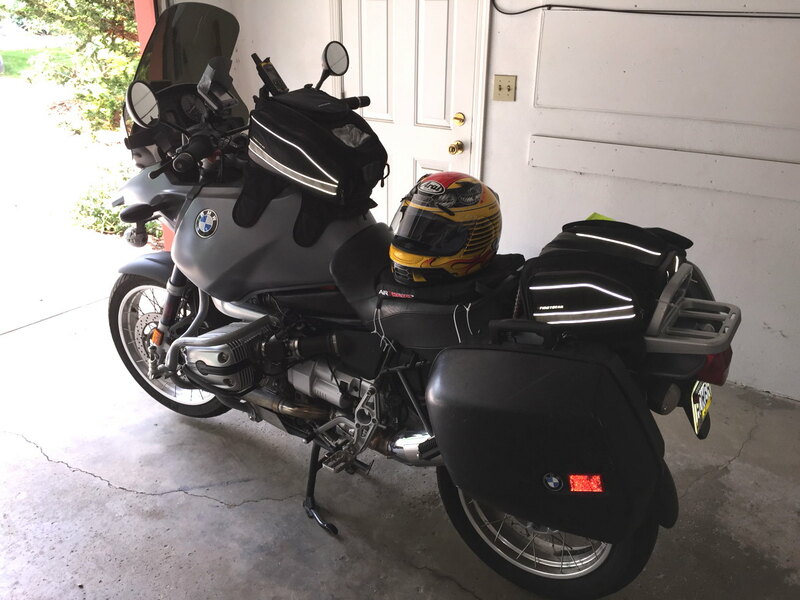 Because of another trip postponement, I found myself with a full week with nothing at all to do other than hang around the house, so I figured this would be a good time to make a long distance bike ride of it. I’d much rather be on the road on a bike than a car so it seemed like a good trip. Part of that was to see how I would do considering I still have some residual weakness here and there from a flare-up of Guillain-Barre. I would make an attempt with the option of stopping or turning back if I got into trouble. I might get ten miles, 100 miles or make the whole trip. Unknown quantity. As it turned out, I made the trip with minimal difficulty. I did note some weakness difficulties in my back, shoulders and upper arms but none enough to be a significant problem. My left hip continues to be a bit weak but quite stable on the bike seat so it never gave me a significant problem. On arrival in the Dells, I found it to be much, much bigger and noisier than it was when I was there. In my day there was one thoroughfare, now there are several four-lane highways traversing the area. LOTS of water slides, roller coasters and theme parks now. Lots of shops and traffic. Paul Bunyan is still there with the big statue of him and Babe the blue ox. The place is now about three times bigger than it was when I was there. Now ensconced in a maze of other attractions. In my day, it was pretty much stand-alone by itself at one end of town. Entering, one walks thorough a huge curio and tourist memento area before getting into the actual dining area. 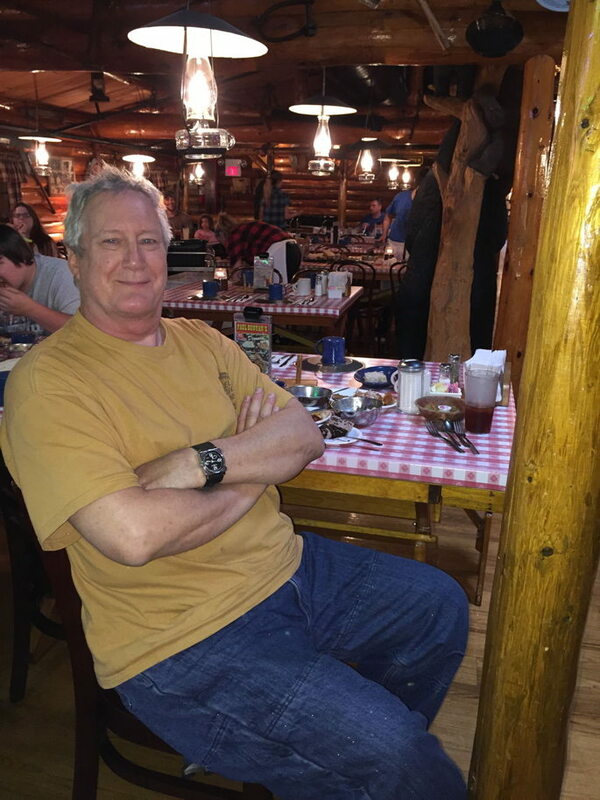 My waitress dressed in logging attire asked if I had been to Paul Bunyan before so I sang the saga of the busboy experience in the summer of 1964 in five-part harmony. She and I talked for a while. The waitresses make $3.00 an hour plus tips and they still have to share part of their tips with the bus-boys, without whom they would not have table turn-around. When I was there, some of them tried to stiff the bus boys, who soon figured it out and cut back turning their tables. She was a sophomore at the University of Wisconsin and, yes, the social life there was still to die for. The cuisine, such as it was, is still about the same, all you can eat of such staples as chicken and beef. The food was barely edible, but for tourist trap food it was fairly cheap to feed a family. I sat around and soaked up the memories for a while, rode around the area briefly, and then headed out for home. The entire trip from stem to stern ran four days, 1500 miles averaging nearly 400 miles a day, three overnights along the way. So I marked off #379 on my bucket list. #378 coming up. This entry was posted in Personal Notes, Places visited- USA. Bookmark the permalink.